Within the past decade, extreme weather events such as hurricanes and super storms have become far more prevalent across the United States leaving trails of destruction and damage costing millions and millions in clean-up and repair. Catastrophic events such as Hurricane Harvey, Hurricane Irma, Super Storm Sandy and Hurricane Katrina leave thousands stranded as flood waters infiltrate their homes causing irreparable damage. The aftermath as well as the repair and prepare strategy is one of the important factors for consideration by not only homeowners but also architects designing buildings in areas prone to these kinds of events. The damage sustained from these extreme weather events, either wind-driven or water-driven, can be extensive and expensive to repair. 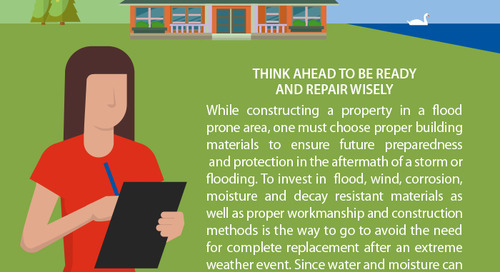 A repair and prepare strategy is one that many living in these areas should consider as part of their recovery efforts. Assessment of the damage caused by hurricanes and flooding is critical in understanding how to approach the next steps. Once the extent of the damage is determined, removal can begin. It is recommended that a qualified clean-up contractor assess the removals required. Thorough and proper cleaning, drying and disinfecting of some materials that are porous can take a while to complete. It is important to understand that mold can thrive in as little as 48 hours in such situations so the likelihood of many porous materials requiring removal is greater. It should be a qualified remediation contractor who makes the determination as to which materials need to be removed. 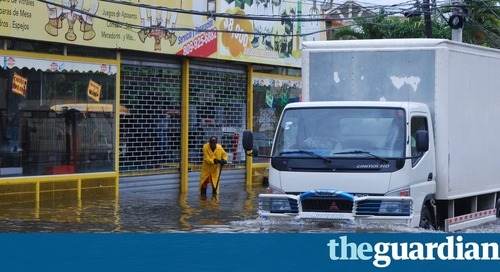 What is a flood-resistant material? 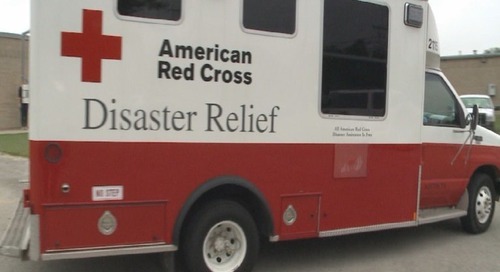 Flooding accounts for a large percentage of the damage caused by a coastal storm. Building materials exposed to flooding must be resilient enough to sustain a certain amount of water exposure in order to avoid the need for complete replacement after the flood. FEMA defines a flood-resistant material as any building material capable of withstanding direct and prolonged contact with floodwaters without sustaining significant damage. Flood-resistant materials identified by FEMA can include, but are not limited to, corrosion resistant coated steel, pressure-treated wood, epoxy formed-in-place flooring as well as closed-cell spray foam insulation. A complete list of materials can be accessed via the FEMA website. Due to its resilience, spray foam insulation can be a key component in the design of building assemblies against future disaster-driven damage. Closed-cell spray foam, like Icynene ProSeal, can be used as a water-resistant barrier to help deflect moisture away while offering additional performance advantages useful in extreme weather events such as hurricanes. 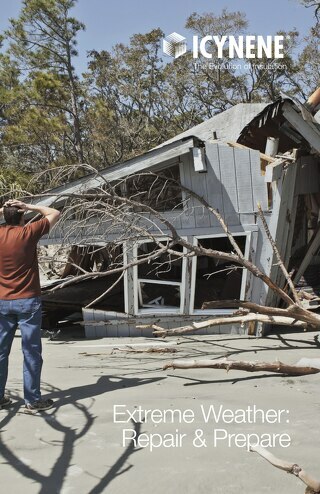 The strong winds of a hurricane and threat of wind-driven rain and flooding can be confidently addressed with the use of spray foam insulation. Icynene spray foam insulation products are considered air-impermeable materials that help deflect wind and wind-driven rain. Light-density spray foam is able to reject water penetration and have a low water absorption (less than 5%) while medium-density spray foams are considered water resistant barriers with very low water absorption (less than 1%). Additionally, medium-density spray foams are able to provide additional ‘racking’ strength to help resist the high winds of a storm, super storm or hurricane.  What about roof damage from wind and water ingress? While closed-cell spray foam insulation is ideal for use in areas close to the ground (or underground such as basements) due to its ability to provide structural strengthen and reject bulk water ingress, spray foam insulation including open-cell spray foam can help play a role in other areas of the home in protection against extreme weather. Water ingress is one of the most common insurance claims. An unvented roof designed around spray foam is one easy solution to protect from roof damage during extreme weather events like hurricanes and storms. An unvented roof has fewer openings, therefore the chance of water penetration is reduced. 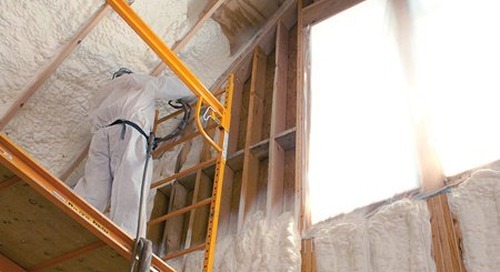 Open-cell spray foam insulation, like Icynene Classic Max, can rapidly expand up to one hundred times its initial volume, upon application, to provide a superior air barrier that seals and insulates the roof space. In the event of a roof leak, open-cell spray foam is vapor permeable allowing for bi-directional drying allowing leaks to be detected and repaired immediately. Bi-directional drying helps protect the roof sheathing from rot and moisture damage. Closed-cell spray foam can be used as a water resistant barrier to deflect water, especially wind-driven rain. Where additional hurricane hold-down resistance is required, all Icynene spray foam products benefit from an unvented roof by eliminating upward pressures from pressurizing the attic via roof vents. Inclusion of spray foam insulation in homes and buildings in areas prone to extreme weather events such as floods, hurricanes and super storms can help protect homeowners and building owners against future extreme weather events which are likely to become more prevalent as our environment evolves and the effects of climate change become known.